Warm Weather Weekends is a series of blogs about Summer destinations within driving distance of RounTrey. Virginia is a beautiful place to be in the summer. Richmond days can get hot and humid, but luckily we’re only a drive away from beaches and mountains. Call the babysitter and sneak away for the weekend, or pack up the van and bring the whole family. This months’ edition of Warm Weather Weekends features destinations in Southern Virginia. Lake Gaston, close to the North Carolina border, is also a popular destination. There are stunning lakefront homes to rent, but you can also camp on the lake if you’re up for an adventure. 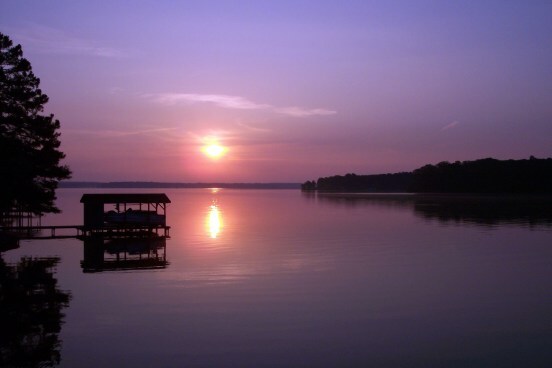 Lake Gaston is known for its water sports, where you can water ski, wakeboard, swim, and go boating, but there are also lush golf courses and evening entertainment events. Visit their website. If you’re up for a drive, Primland is a luxurious and eco-conscious resort on a whopping 12,000 acres near the Blue Ridge Mountains in Southwestern Virginia. Primland is perfect for a romantic weekend and features an observatory for stargazing and multiple top-tier restaurants. Visit their website. These are just a few things that Virginia has to offer, all within driving distance of our community! Next time’s Warm Weather Weekends will feature Eastern and Coastal Virginia destinations. Stay tuned!